For not-for-profit organisation, RSPCA, supporters are crucial to ensuring more animals stay out of harm’s way and are healthy. However, for a long time animals were mostly centre of attention, until executive marketing manager of fundraising and communications, Paige Gibbs, challenged this. 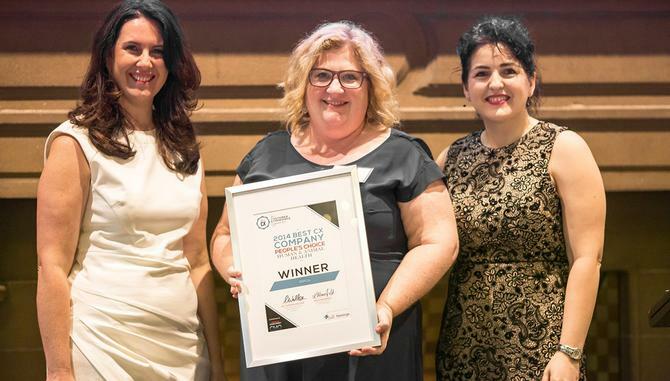 RSPCA won the People’s Choice award in the ‘human and animal health’ industry category as part of the Best Customer Experience Companies List. The award was based on the votes of by more than 2500 consumers. Gibbs told CMO the organisation has going through significant change in the last decade around how its perceives and interacts with its supporters. To do this, Gibbs looked at how RSPCA could change its communications strategy with its supporters. “In the past, when we talked to them, it was really about, ‘We’ve got another cruelty case and we need your help’. But now it is much more about ‘Because of you, all of these transformational things have been able to happen and continue to happen’,” she explained. Keeping in regular contact with supporters and offering them services, such as dog treat recipes and educational videos through digital campaigns, is also part of improving ‘customer’ experience and achieving ongoing support. This “365 communications” process, as Gibbs calls it, is about developing relationships with customers who make monthly donations over time so they feel they are involved in a more personal way. Social media has also been a success for RSPCA in raising brand awareness and reaching potential donors, Gibbs said. Its Twitter account has 17,500 followers, and it has garnered 207,356 likes on its Facebook pages. She added the advantage of being an animal welfare organisation is that it can really tap into cat-themed Internet memes to firstly attract widespread interest, while at the same time using cats to send an important message out or educating the broader public on animal welfare. “We were early adopters of social media. It’s a big platform for us, because we know ‘slacktivism' – a simple, quick action for supporters to sign a campaign or donate through a social media prompt – is pretty high for animal welfare supporters,” Gibbs said. Storytelling and knowing how to shape a story is also key in RSPCA’s communication strategy. Instead of focusing on the “doom and gloom” of animal cruelty, it is more about making people feel good for making a difference, Gibbs said. Since RSPCA turned its focus from animals to people, it has seen an increase in donations of about 20 per cent, Gibbs said. Its big goal for next few years is to grow regular giving, mostly monthly donors.